Three glove sets in one. 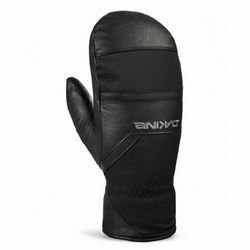 Amazingly well-designed, durable, waterproof, breathable, modular active-wear hand protection system for year-round use for cool to bitter cold, with wind, rain or snow. Obvious careful selection of materials for functionality, agility and durability. Trim functional cut for action, and well stitched. Near perfection for my uses. Titan is one high-quality glove set! The more I use them, the more I understand their name. This modular system is two sets of excellently designed gloves that can be used separately or combined to make a third 'Titan' glove to conquer bad weather. There must have been extraordinary attention to design, material selection, and testing to create the set. 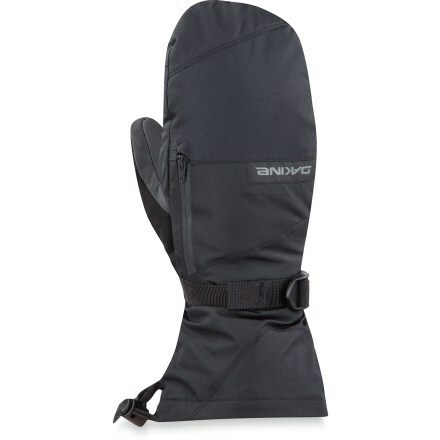 The Gore-Tex lined overmitt, gifts durable wind and moisture protection, while keeping adequate breathability. Each piece works great alone and well when needed together (together they are tight now, but I expect then to improve over time). 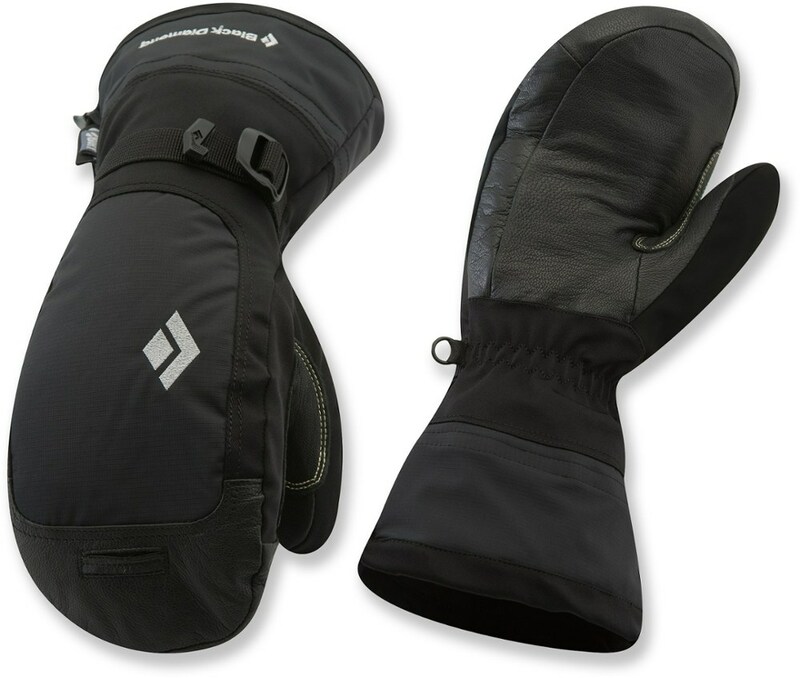 The overmitt features a wrist strap to help ensure that the glove stays on with activity. It can be operated with one hand. The mitt bottom has a second strap, which tightens the foul weather gauntlet to the sleeve below my wrist. This works with one hand and chin or teeth assist for me. There are also wrist lanyard cords useful for the overmitts to dangle free while I operate gear with the tactile inner gloves (lanyards removable if hanging cords drive me crazy). There are clips to stow away the overmitts together. Thus, there's many "TITANers" to custom adapt the system to my personal preferences. The overmitt has fine textured warm surface fleece inside. 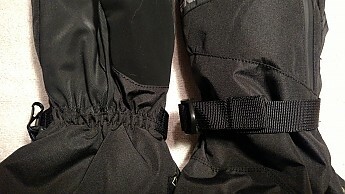 And inside the gauntlet skirt there is a slick durable inner liner, so that the inner gloves can be inserted more easily. 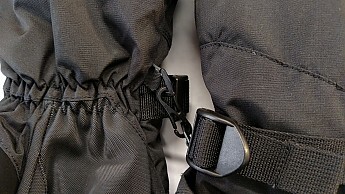 The wrist straps have gathering pleats on the other side to reduce bulk and help keep wrist actions more functional. Note the lens squeegee blade wiper and nose sweat wipe surfaces on the back of the left and right thumbs, respectfully. I find one of each is enough. It took me a little practice to learn to operate, but the little squeegee blade works well. The blade is firmly supported with a stitched in base plate, and is quality rubber. Handy gear pockets are on the back side of the gloves. Note the weatherproof zippers. Unlike some of my other high end mitts the Titan zipper toggles are a little larger, thus easier to operate, and don't look like they will break off as easily with active use. The zipper toggle pocket helps to seal against weather leakage, helps to protect the toggle from damage, and reduces snagging. And there's a porous inner liner inside the the pocket so that heat can better infuse in from a heat-generating source, or used to help let moisture out, when humidity builds up inside. 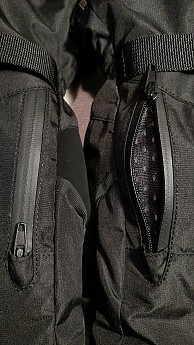 I find that I can also leave open the zippers to help vent hand heat. 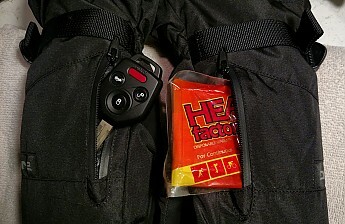 The pockets fit Fob car or house keys and heat generating pouches well. I'm very impressed with how flexible and tactile the separate and combined gloves are. The overmitts by themselves make awesome quality gloves. 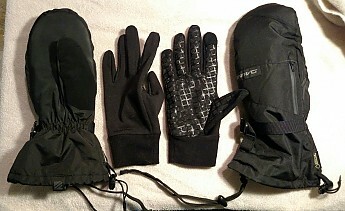 They alone might become my most favorite winter weatherproof glove for our moist, moderate maritime/mountain climate. 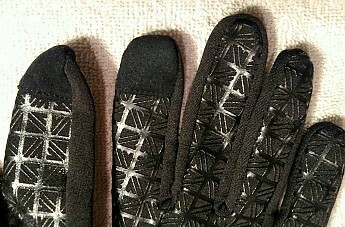 The inner glove liners alone might work for 3-season active wear, in many climates (for sure here in the PNW). 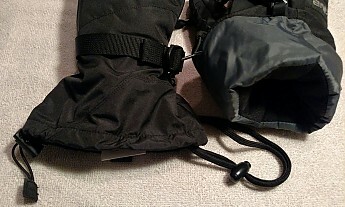 When used together, the overmitts have handy, appropriate length, wrist cords so that I can slip off the overmitts and let them dangle as I take photos or answer a smartphone, without numbing fingers when it's cold out. The inner gloves are nicely form fitting and flexible. They are meant to be left on and not frequently taken off and on. 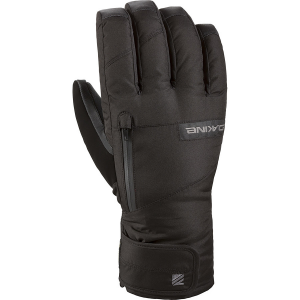 They afford almost barehand tactile function, but with some warmth and protection. There's a nice fabric backing and cozy inner micro-fleece liner. And that grip surface on the wrist, palm to finger grip surface is excellent. 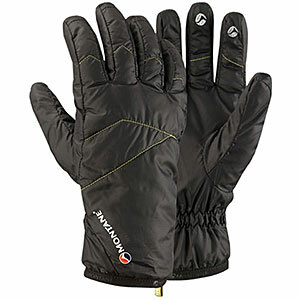 The snug fitting gloves stay correctly aligned as I work with hiking or ski poles. Even though there is a lot of sewing along the finger length and wrists, I barely feel the seams in use! I'm impressed at how well the forefinger and thumb eTips operate my smartphone screen. The eTips are accurate in aim, and take a little pressure to engage so that I'm not off-track in my screen selections and other actions, as I approach or drag across the screen. It amazes me, to get often pinpoint accuracy, where I intend it, with gloves on. 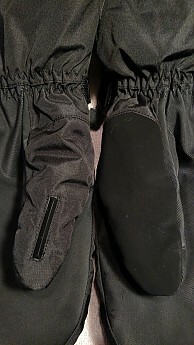 The "active" surface is not a coating, that might wear off, but rather a sewn-in fabric piece. So I expect/hope it to last (will update this later). There's a keeper clip on the overmitts. If you stuff the inner gloves inside the overmitts, everything stays together. And I found several more design features not mentioned here, as will you, when you get these in/on hand. 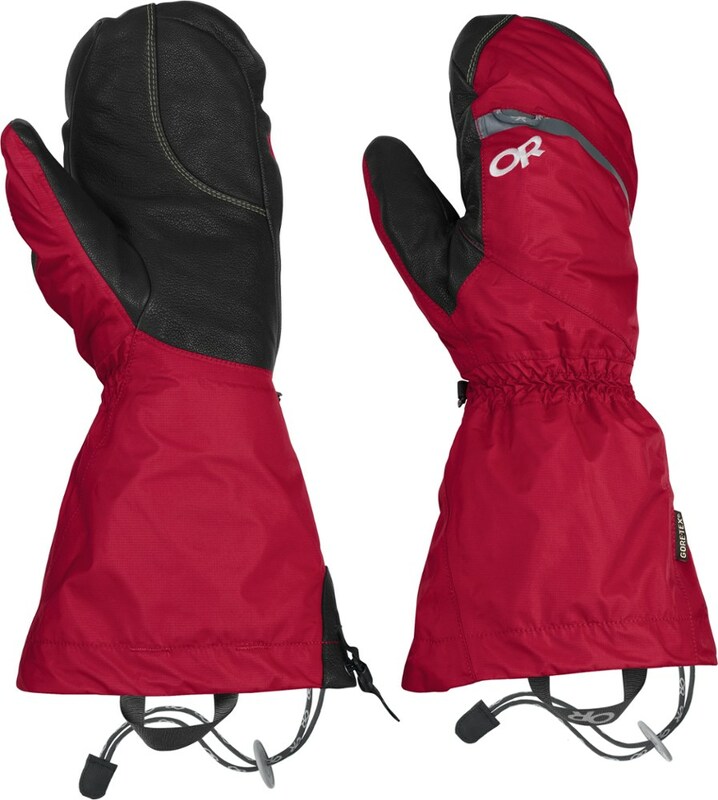 However, there's no clip on the inner gloves alone, should you be stowing away those separately. 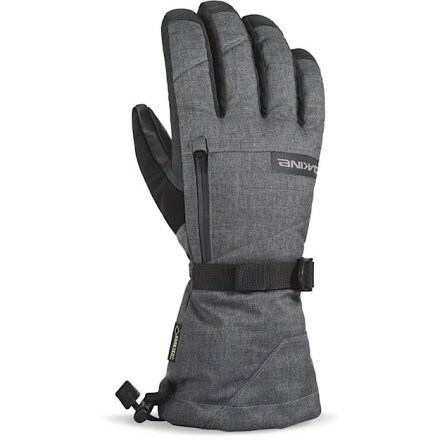 IF DaKine helped address the few cons listed* -OR- if the combined overmitt with inner gloves loosen up at little more when used over time (gloves often do that). However, one can’t beat the functional quality and features of Titan at its very reasonable "Minion" $65 list price. Thus, I'm being harsh, for now, rating the gloves at only 4.5 stars. *The design aspect that would most benefit from tweaking would be to adjust the finger depth flexibility factor in the hand area, between the forefinger and thumb, for improved action when combining the gloves. This might just need increasing the finger length towards the palm or placing a patch of more flexible material there in the overmitt. Nice review, Gary! Thanks for taking the time to share it. I'll be interested to see your pictures of each of the individual pieces. 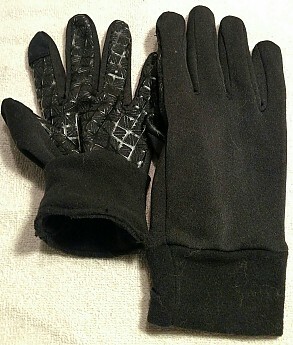 i've had a set of DaKine shell gloves for... almost 15 years now. still kicking strong. glad to see they're still rocking along and making good stuff. No worries. Users deserve the illustrations, and the gloves the praise given. So glad to hear that DaKines can be that durable.